If you haven’t read my post: Super Fantastic Cat Alarm, well, go there first. If you have, here is a picture of my little alarm cat, Garfield. 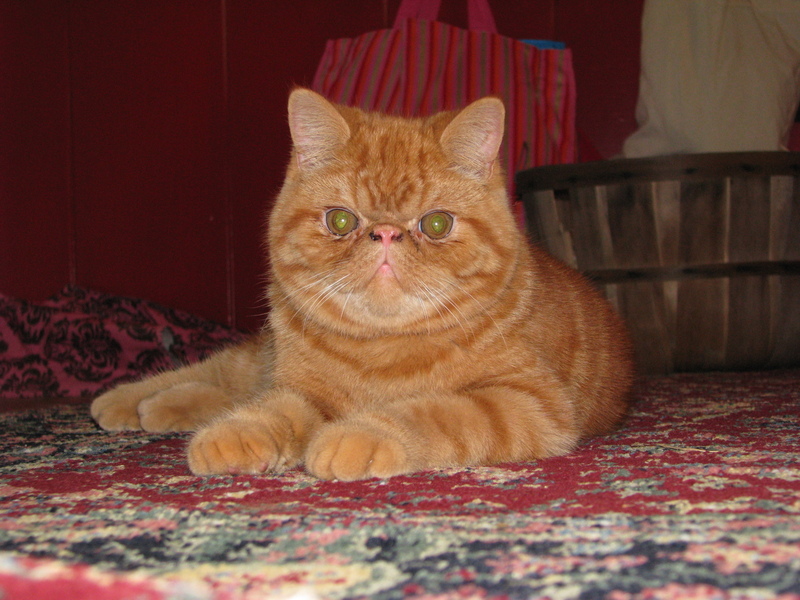 Also known as Garf, Garfunkel, The Orange Marauder, and now, El Garfo (my kids made that up). This is a cat who has adopted my husband as his own kind and incessantly circles his ankles, crying for food. Doesn’t matter if there’s food in the dish or not, he wants FRESH food, for crying out loud. He also torments my husband in the bathroom, where my poor hubby is just trying to enjoy his ‘morning constitutional’ and Garfield is consistently scratching the door until he is let in. He also follows him into the bathroom for shower time, where he will patiently wait until Jason is out of the shower, whereupon he cries until Jason gives in and gives him more food. He also doesn’t like Jason typing on his laptop, and will jump into his lap and try to sabotage anything Jason is doing. But, with a face like that, how could you get mad? Well, you really can’t. No matter how much you want to get mad, you just can’t get upset looking at a squooshy little face and tiny ears. Please excuse his ‘cat boogers’ in his nose…I guess it’s time for ‘mommy’ to wash the cat’s face. Oh my, HOW CUTE. That is one cat that can use the power of expression! The vertical stripes between his eyes really make for a serious appearance! I just want to pick him up and give him a big squeeze! Trust me, Tayce…we do! Lol.